The scriptures used in this article are taken from the concordant version of the bible. The Concordant Version is an English translation of the Bible compiled by the Concordant Publishing Concern, which was founded by Adolph Ernst Knoch in 1909. The Concordant Version uses a method of translation that takes into account the superhuman perfection of the scriptural writings, even to the minutest detail. In year one of Belshazzar king of Babylon, Daniel him self perceived a dream and visions of his head on his bed. Then he wrote down the dream stating the beginning of the matters. Daniel was speaking up and saying: I was perceiving in my vision during the night, and behold, the four winds of the heavens were rushing forth to the vast sea, and four monstrous animals were coming up from the sea, diverse one from another. The eastern animal was like a lioness, and she had the wings of a vulture. I was perceiving until her wings were scraped smooth, and she was lifted up from the earth and was made to stand on two feet like a mortal, and the heart of a mortal was granted to her. And behold, another animal, a second one like a she-bear; one part was set up, and three ribs were in her mouth between her teeth. Thus they were saying to her, Rise! Devour huge amounts of flesh. In place of this I was perceiving, and behold, another animal, like a leopardess; She had four wings of a flyer on her arched back The animal had four heads, and jurisdiction was granted to her. In place of this I perceived in the visions of the night, and behold, a fourth animal, terrifying and dreadful and exceedingly mighty; she had monstrous iron teeth, and she was devouring and crushing and stamping upon the remainder with her feet. She was diverse from all the animals that were east of her, and she had ten horns. I was contemplating on the horns, and lo, another bit of a horn came up among them, and three of the eastern horns were uprooted before it. And lo, there were eyes like the eyes of a mortal in this horn, and there was a mouth declaring monstrous things, and it was making war with the saints. I perceived until thrones were situated, and the ferrer of Days sat down. His clothing was pale as snow, and the hair of His head was like immaculate wool; His throne was flares of flame and its wheels a flashing flame. A stream of flame was flowing and issuing from before Him. A thousand thousands ministered to Him, and ten thousand ten thousands stood before him. Adjudication was seated, and the scrolls were opened. I perceived then because of the sound of the monstrous matters that the horn was declaring; I perceived until the animal was dispatched, her frame was destroyed, and it was granted to the glowing fire. As for the remainder of the animals, their authority was caused to pass away; yet a lengthening of life was granted to them until the stated time and season. I perceived in the visions of the night, and behold, with the clouds of the heavens one like a son of a mortal was arriving; He came unto the Transferor of Days, and they brought Him near before Him. To Him was granted jurisdiction and esteem and a kingdom that all the peoples and leagues and language- groups shall serve Him; His jurisdiction is an eon jurisdiction that shall not pass away, and His kingdom shall not be confined. As for me, Daniel, my spirit was perturbed within its sheath, and the visions of my head were flustering me. I drew near to one of those standing by, and I petitioned him for the true meaning of all this. Then he spoke to me and made the interpretation of the matters known to me: These monstrous animals, the four of them, are four kingdoms that shall arise from the earth. Yet the saints of the supremacies shall receive the kingdom, and they shall safeguard the kingdom unto the eon, even unto the eon of the eons. Then I wanted to know the true meaning concerning the fourth animal that was diverse from them all and exceedingly terrifying. Her teeth were of iron, her claws of copper; she was devouring and crushing and stamping upon the remainder with her feet; also concerning the ten horns that were on her head; and concerning another horn that came up, and before it the three fell. As for this horn, it had eyes also, and a mouth declaring monstrous things; and the sight of it was larger than its fellows. I was perceiving that the same horn was making an attack on the saints and was prevailing against them, until the Transferor of Days arrived, and adjudication was granted to the saints of the supremacies, and the stated time came when the saints safeguarded the kingdom. So he spoke again to me: As for the fourth animal, there shall come to be a fourth kingdom on the earth that is diverse from all the other kingdoms. She shall devour the entire earth and thresh it and crush it. As for the ten horns, from her, from this kingdom shall ten kings arise; and another one shall arise after them; he is diverse from the eastern ones, and he shall abase three kings. Declarations against the Supreme shall he declare; to the saints of the supremacies shall he bring decay; he shall intend to alter stated times and an edict, and they shall be granted in to his hand for a season and two seasons and half a season. Then adjudication shall be seated, and they shall cause his authority to pass away, so as to exterminate and to destroy him until the terminus. And the kingdom and the jurisdiction and the majesty of the kingdom under the entire heavens will be granted to the people of the saints of the supremacies. Their kingdom is an eonian kingdom, and all other authorities shall serve and hearken to them. Here is the termination of the matter. As for me, Daniel, my ruminations were flustering me a great deal, and my mien was altering on me; but I preserved the matter in my heart. Bible experts for the last 200 years have taught that Daniel 7 tells of Daniel’s vision of four world-kingdoms replaced by the kingdom of God. Four beasts come out of the sea, the Ancient of Days sits in judgment over them, and “one like a son of man” is given eternal kingship. An angelic guide interprets the beasts as kingdoms and kings, the last one will make war on the “holy ones” of God, but he will be destroyed and the “holy ones” will be given eternal dominion. 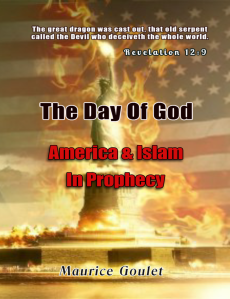 They claim this prophecy introduces the theme of the “four kingdoms”, which is that Israel would come under four successive world-empires, each worse than the last, until finally God would end oppression and introduce the eternal kingdom. God’s word interprets itself. We are going to look at this prophecy from God’s viewpoint and not from the private interpretation of men. It does not speak of the age or birth of each Kingdom but it’s influence on the religions of man. The dream comes to Daniel after the record of his stand for the true God when he did not bow down to the image of Nebuchadnezzar. He was thrown into the den of lions because he did not obey the religious orders of the king. After his deliverance from the den of lions, which can be compared to the religious corruption of our day, Daniel had a series of visions. He said; “I was perceiving in my vision during the night, and behold, the four winds of the heavens were rushing forth to the vast sea, and four monstrous animals were coming up from the sea, diverse one from another.” They did not come up one after another, they all came up at the same time. The interpretation below is not given in order of time but geographically in their influence. Wind typifies spirit in the Bible. The spirits of darkness inspire religion. The four beasts in the book of Revelation appear in the temple section, the religious control of the earth. The first beast is referred to as the eastern animal described as a lioness with the wings of a vulture. The second beast was like a she-bear; one part is set up and 3 ribs are in her mouth between her teeth. A third beast arose as a leopardess with 4 flyers wings on her arched back and 4 heads and jurisdiction is being granted to her. Finally Daniel saw in his vision a fourth animal, terrifying and dreadful and exceedingly mighty; she had monstrous iron teeth, and she was devouring and crushing and stamping upon the remainder with her feet. She was diverse from all the animals that were east of her, and she had ten horns. Daniel then said; “I was contemplating on the horns, and lo, another bit of a horn came up among them, and three of the eastern horns were uprooted before it. And lo, there were eyes like the eyes of a mortal in this horn, and there was a mouth declaring monstrous things, and it was making war with the saints.” This beast was terrifying and exuberantly mighty. These are the four major religions of the world. Hinduism which is the first known major religion is based in India. The Arab world is the home of Islamic religion. Europe and the Americas as we continue to move westward from the east we see the widespread growth and corruption of the Christian religion producing the Laodicean Church of Revelation 3. It is the goal of Satan to deceive man into looking away from the true God by looking to his own flesh and the flesh of others. The essence of all religion is to distract man from what God has done and is doing. Satan has dispelled these spirits to empower and to impel every religion on earth in order to keep man preoccupied in works of the flesh to keep them from God and his works. “All scripture is given by inspiration of God, and is profitable for doctrine, for reproof, for correction, for instruction in righteousness: That the man of God may be perfect, throughly furnished unto all good works.” 2 Timothy 3: 16,17. Men are convinced they are worshiping the true God. We see in all religions the desire of man to worship. Statues, building and monuments yet their perceptions are being taken away from the true God. The monstrous animal is not monstrous. Satan disguises his works as works of righteousness. Daniel sees them as monstrous but as they appear on earth, to each follower, they do not appear that way. The eastern animal is a lioness. She has the wings of a vulture. Buddhism came out of Hinduism and was granted vultures’ wings. It rooted itself in Asia and spread very rapidly. The wings denote a spreading. In the first century it spread all the way to India from eastern Asia. It spread to china, Sloan and Korea. In the 12th century, Buddhism was dealt a sever blow with the Muslim invasion of India when they scraped its wings. It spread rapidly but it has not moved much in a thousand years. Its wings had been scraped smooth and had been set upon its feet. Daniel saw it was now upright. Buddhism is the most upright religion on the earth. There is a great emphasis on morals. Buddhists hate to kill anything. They are benevolent towards all animals. Some Buddhist monks even take a broom with them to sweep less they even kill an insect. It has a human heart, the heart of a mortal. It is more humane then any other religion, symbolized by a lion, the proud nobility of man. 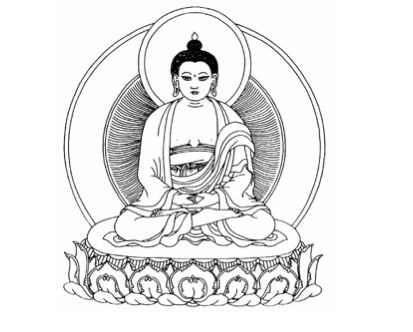 There are 10 precepts of Buddhism. The top five are not to kill, steal, commit adultery and lie. Charity marks this religion. A human heart was granted it. It is the eastern most religion. Hinduism is represented as a bear. This religion operates on the cast system. The Brahmans are set up as the priestly cast in Hinduism. If you are a Brahman, you are set up. There are 3 ribs in the mouth. There are 3 lower casts in Hinduism. 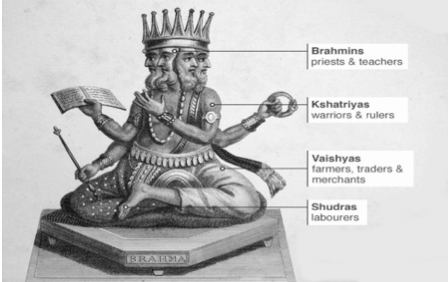 The Kshatriyas, the Vaishyas and the Shudras. This is a bear that eats enormously. The priestly cast lives off the lower casts. This beast has no wings. 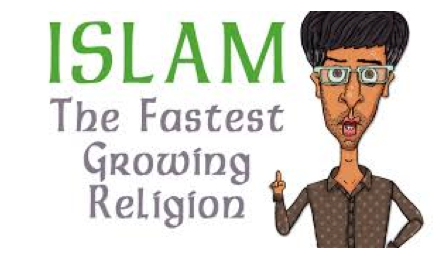 This religion has not spread. The next beast is Islam and the Arab world. It has four wings. This is the most mobile religion. We see how Islam is spreading everywhere. The wings have not been scrapped, it is still moving. It’s militant. It is called the leopardess. It’s swift. Its politically minded. There are 4 heads in the vision of the leopardess. There are 4 orthodox schools of Islam. Maliki, Hanafi, Shafi’i and Hanbali. Authority was granted this beast. The knowers of Islam are often able to withstand civil authority. It is a very powerful religion.